Everyone has their own individual motivations, but when we look at the feedback from our agents, these are the 5 top reasons people are joining us. With Easy Agent you are no longer restrained by the typical office territory game, now you can spread you wings and maximise your extensive contacts to list and sell where YOU have the relationship and no longer rely on poor office referrals. Easy Agent are an industry leader in advocating personal branding. 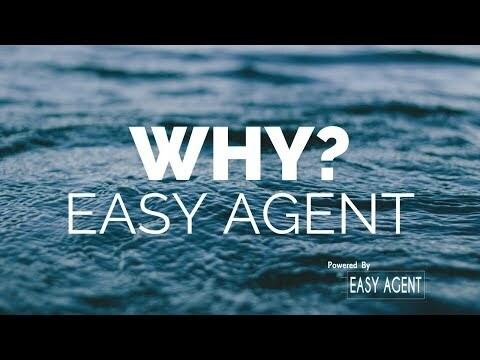 One of the first in the country to push agents towards growing their own following, we know the power of you and what you can be when you join Easy Agent. Gone are the days when you need to part ways with half of your hard earned commission money. Yes you read correct, as an agent with Easy Agent you get to keep 100% of your sales commission from each sale. Easy Agent as by far the industry leader in digital marketing, utilizing the most advanced features from around the world including many industry firsts, such as proximity marketing. Gain that competitive edge by being part of Easy Agent. Whilst most people who work for themselves really shouldn't(because they lack basic time management skills), with the support from our Mentor program in our Academy site, our agents have a clear method to follow which delivers both prospecting and sales results but also more effective time management providing them with more "me" time.